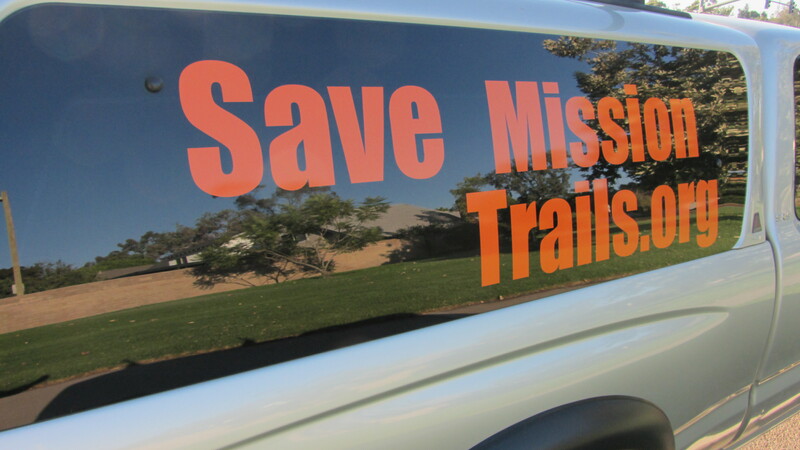 The City of San Diego is now applying for Scenic Highway status for State Route 52 in Mission Trails Regional Park. Please take a moment to email your support! We are pleased that the San Diego City Council unanimously voted to request recognition of the scenic natural resources of SR 52 from Santo Rd. to Mast Blvd. through MTRP. Send a brief note with positive comments of support today! Easy 1-step below. 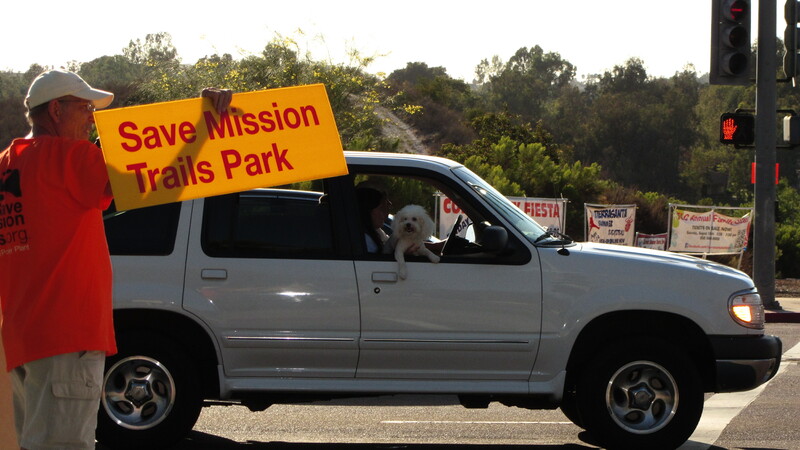 I support the Scenic Highway designation of State Route 52 at Mission Trails Regional Park. 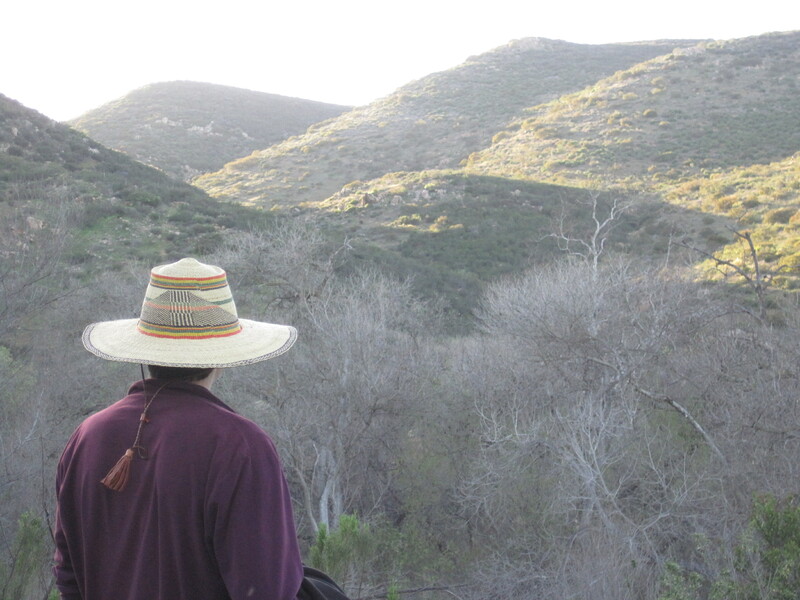 This area’s beautiful unspoiled hills and canyons offer a tranquil and restorative experience for travelers heading from our county’s coast to its mountains, as well as for park visitors. Additionally, the status may help protect the natural habitats and the important wildlife in this region. Thank you for considering my support. Click here for more information about Scenic Highway status. 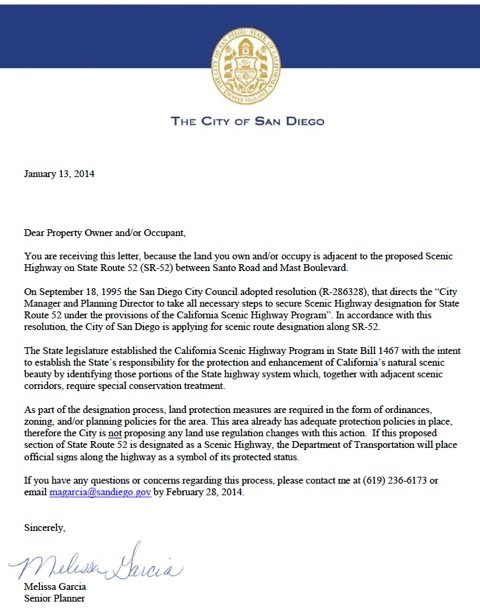 Read below a letter from the City of San Diego to East Elliott landowners. Once again, thank you for taking action to preserve our park and communities! San Diego does not exhibit the kinds of blatant seasonal changes that you see in Vermont, Oregon or Michigan; we have a more subtle shift in the weather. 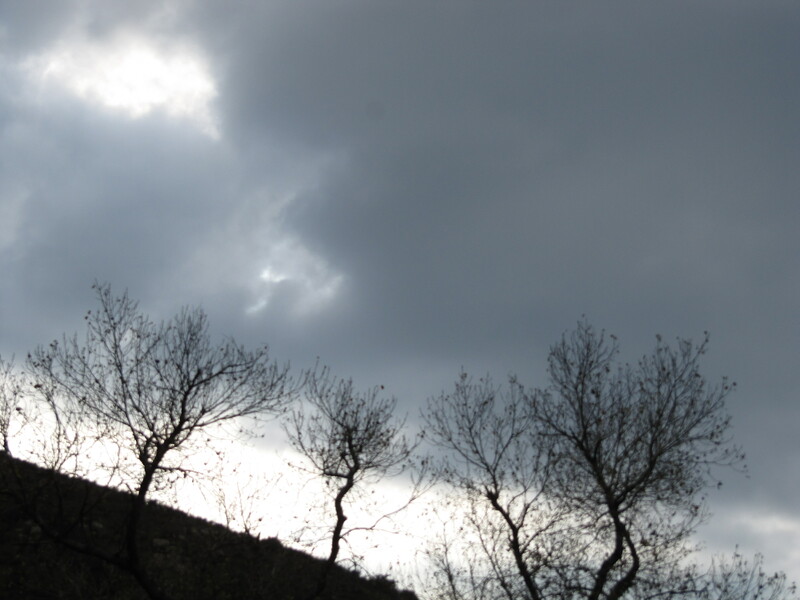 Here is what it looks like when winter comes to Mission Trails. 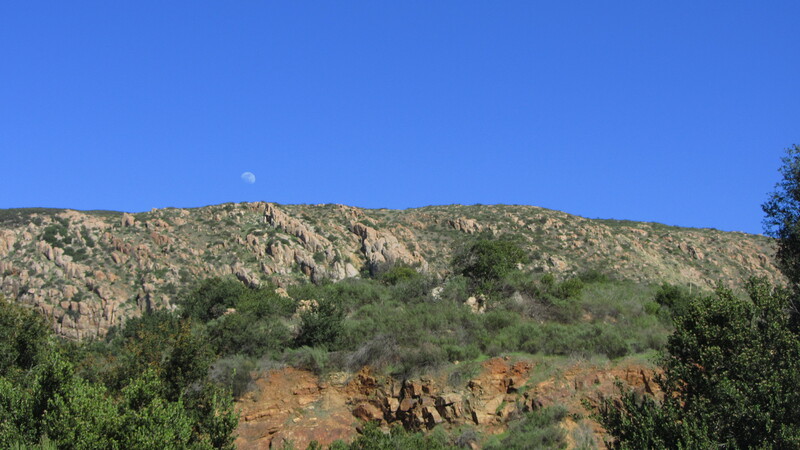 Moon rise on a crisp blue sky is common. 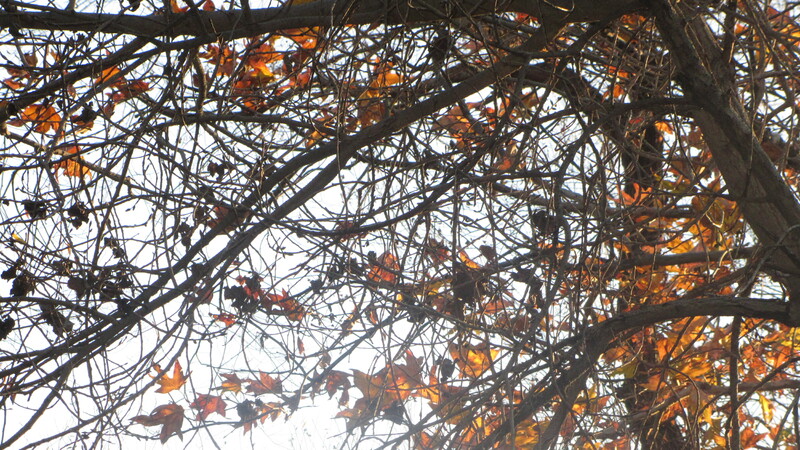 Oak leaves turn orange and then drop off at their leisure. The dam swells from occasional rainstorms. 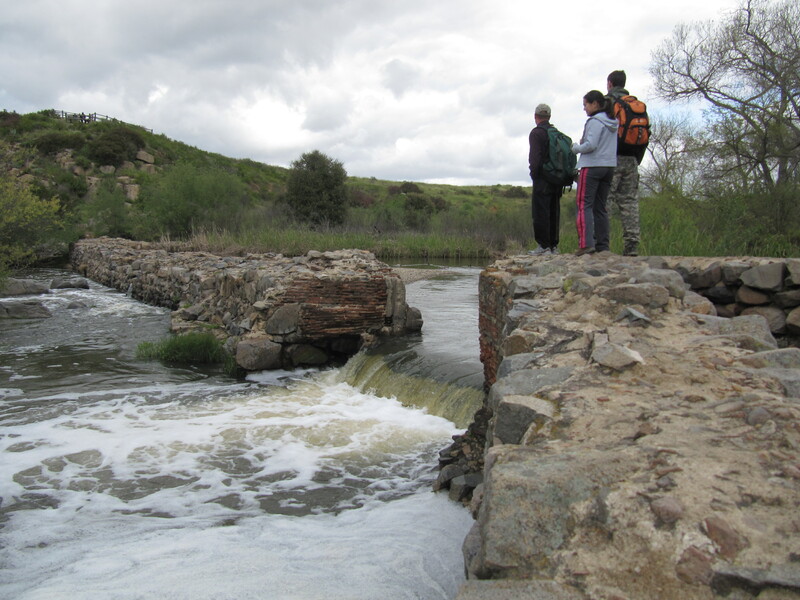 Note: Our iconic Mission Dam will turn 200 in the year 2016, which is the same time Cogentrix would construct their Quail Brush power plant in a spot that could be seen from just above the dam. This is where many of us come to escape the distractions of civilization and the work-a-day life. We all need Nature to balance us. 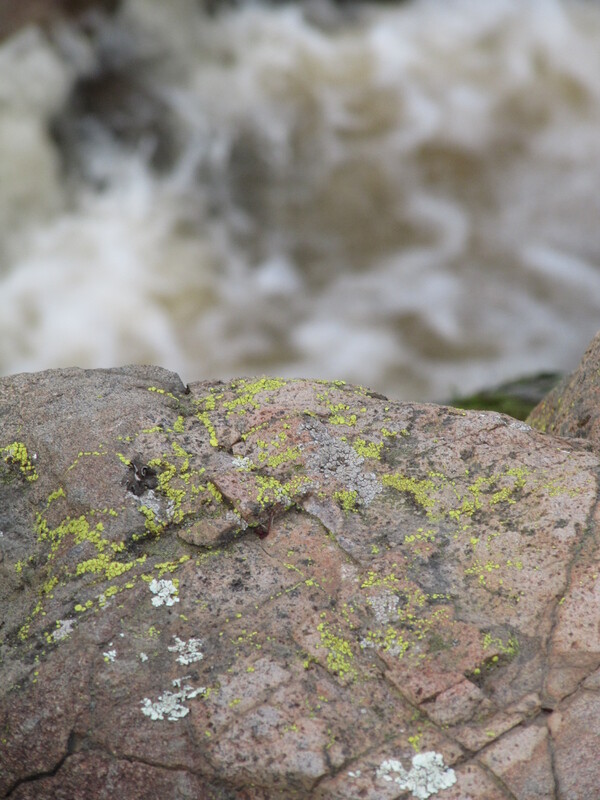 Have you ever sat on a rock and looked closely at the colors and patterns? 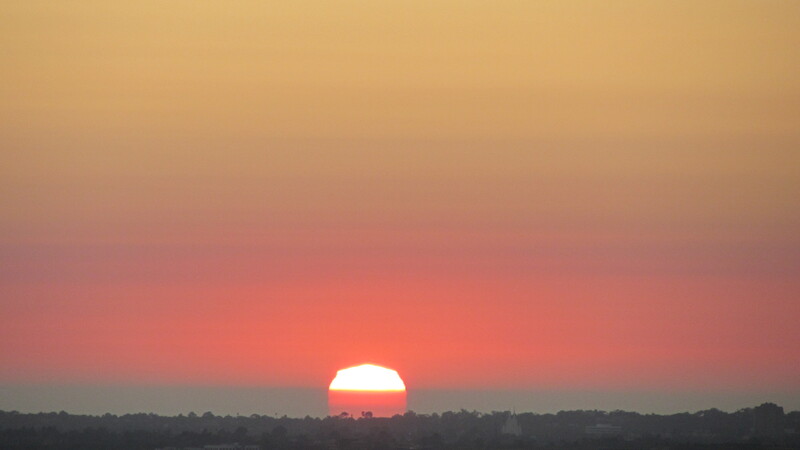 Sunset signals our time to say goodbye until the next time. Fire Danger! What’s the Impact Zone of an Explosion at the proposed gas power plant? Applicant: No response. Fire Safety 101: Don’t build a fossil fuel GAS power plant in a high fire-hazard zone. Aerial of 2003 Cedar Fire around Scripps Ranch area taken by John Gibbins/Union-Tribune. Will our communities, homes, and our lives be protected? The City of Santee has stated it refuses to provide any emergency services to the power plant. 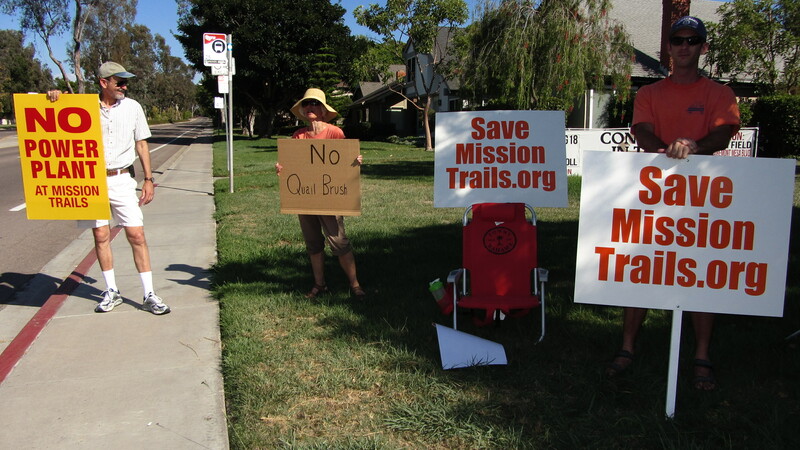 The only response would be from San Diego, which has also opposed the project. 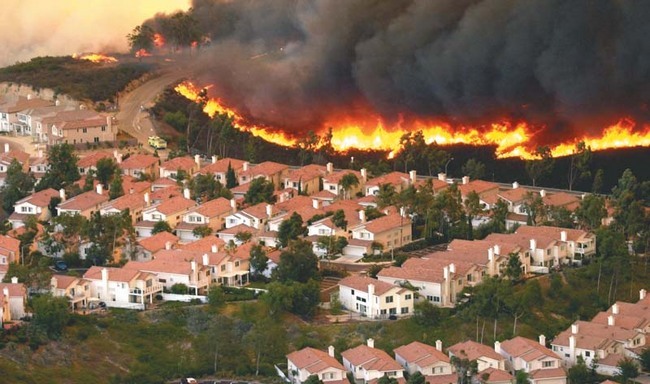 Therefore, according to the California Energy Commission (CEC), to meet the local regulations and standards (LORS), a fire would need to be impossible, the risk zero. Really? Zero fire risk? 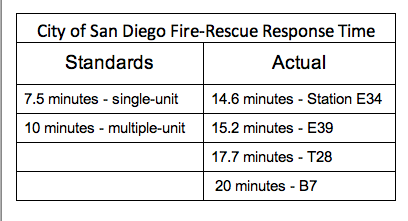 Residents in San Diego and East County know all too well, this won’t be the case! The applicant CoGentrix said that to bridge this time gap, they will create a “shelter in place” with breathing apparatus for the workers. Perry agreed it could be safer to keep the workers in the structure and let a wildlands fire go around it. SMT volunteer Sonja Ramos, who lives close to the proposed site, noted this shelter will be of no help to her and other local residents, though. 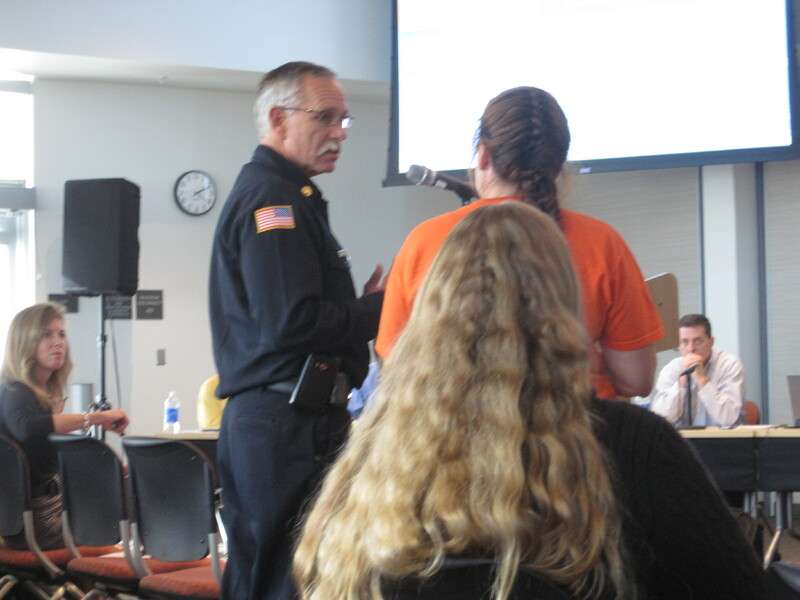 Deputy Fire Chief Perry and SMT volunteer and local resident Sonja Ramos discuss fire impacts at the Oct. 19, 2012 CEC Wksp, while Ziebart, hired lobbyist and applicant mgr. for CoGentrix (left), looks on. Perry says he won’t put his people at risk if the plant itself has a fire. This is understandable due to high voltage and other dangerous issues. 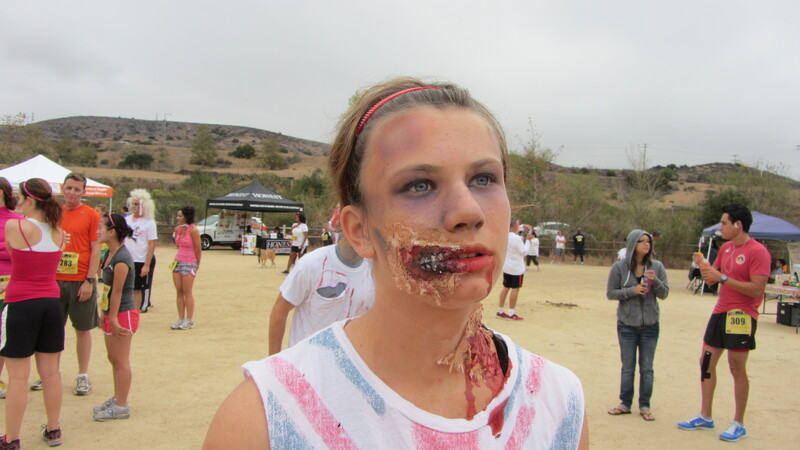 SDGE would have to come first and de-energize the plant. Perry notes that this will take awhile as in the recent case of fire in a Kearny Mesa facility. The fires burned for nearly three hours before being considered safe for fire crews to enter and do their job. At the CEC meeting, the public learned that CalFire and US Forest Service would not be dispatched until it was considered a 3rd or 4th alarm fire and only if the fire is on wildland (not within the plant facility). Perry said that in the San Diego area, we don’t always get the resources we need. “We’re the cul-de-sac of the state.” Yes, and many of us live in the cul-de-sac of a neighborhood with only one escape route. About 1,000 residents in three townhome/condo complexes live in the cul-de-sac area near Bushy Hill/Simeon Drive less than a mile southwest. It’s unlikely residents will be able to effectively evacuate when there is only one escape route. 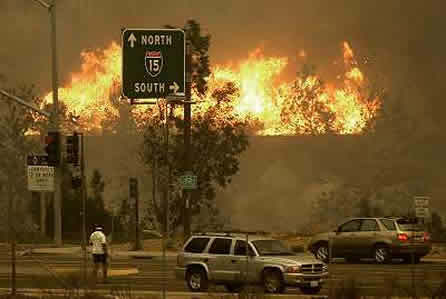 What if there is a natural gas explosion at the site…or another Santa Ana-wind driven fire like those of 2003 and 2007? 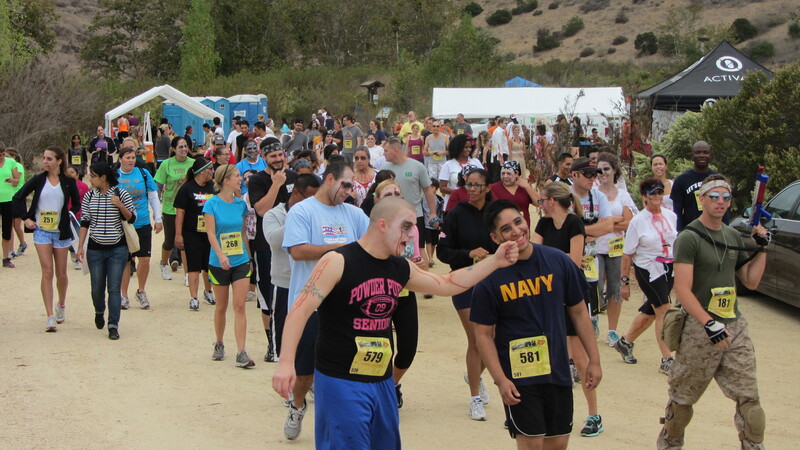 Communities at the west end of Santee and the West Hills High School are within 800 yards of the site. Fire Chief Perry stated that fires would be past the plant within five to ten minutes at the most. So, if homeowners can’t get insurance due to proximity to a designated fire zone, why should a gas-powered plant covering 11+ acres within this zone get a green light? And how will a gas power plant impact the residents of the surrounding area? Residents worry about insurance coverage and rate increases compounding property value loss. 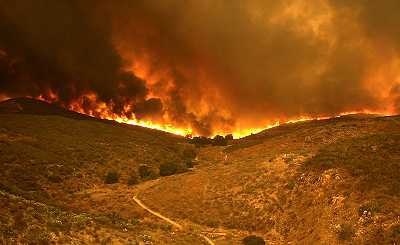 San Diego is known for its unusual and fierce wildlfire conditions. Santa Ana conditions produce winds blowing sometimes over 100 mph. Once started, fires are difficult if not impossible to stop in winds more than 25 mph, and fires are commonly blown up and down hillsides. The result is very fast spreading fires that typically get out of control quickly. One good spark and we’re all up in smoke. A fire moves south down through Oak Canyon / East Elliott toward the 52 freeway. Photo by Charles Starr. 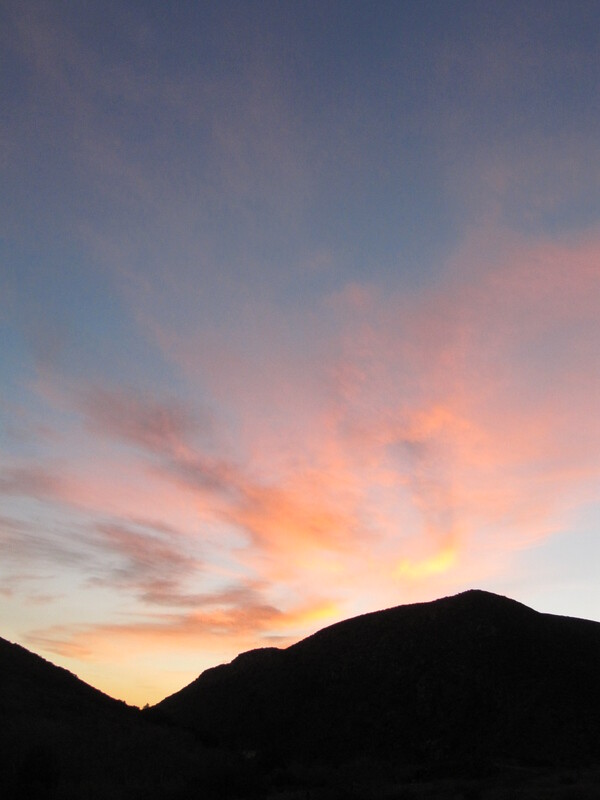 Additionally, brush fires in and along Mission Trails and East Elliott Open Space are common, especially along Highway 52. Locals (like myself) are used to seeing a few every year, with many started from car sparks or cigarettes thrown out car windows. At the workshop, the applicant and the CEC tried to assure us that we are safe from fires and that fires in these types of power plants are rare. Meanwhile, CEC staff recommended that CoGentrix hire and train their own in-house fire brigade and have an onsite EMT. Our reply: We won’t take this risk. CEC Fire Safety Expert says there is no risk of fires from the pipeline due to strict Federal regulations of new pipelines. Here’s a list of some pipeline accidents resulting in fires. We’re sure the folks living near the San Bruno gas power plant explosion in 2010 had also been reassured that there was no danger. What can I do to help stop this power plant? 1) Click for easy instructions to email and add your name to the growing army of opposition against this not-needed fossil fuel plant. It’s critical each one of us does this. 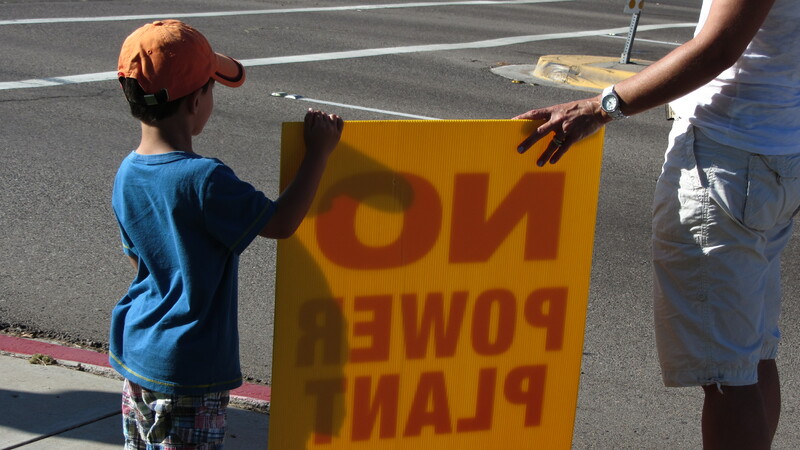 Strong public opposition can help sway the state commissioners into making the correct decision for our communities and park and/or 2) Come to a SMT meeting to get more info and find out about volunteering. Thank you! Author SandyPosted on October 27, 2012 January 16, 2013 Categories Air Pollution, Fire, Meetings, Mission Trails Regional Park, Photography, Property Value, San DiegoTags Community, Fire, Mission Trails Regional Park, natural gas, Power station, Quail Brush Power Plant, San Diego, Santee3 Comments on Fire Danger! What’s the Impact Zone of an Explosion at the proposed gas power plant? Applicant: No response. Is this what we want to have happen if we allow Cogentrix to steamroll us and get their way with an already-archaic fossil-fuel power plant which is slated to spew over 200,000 TONS of toxins into our air? 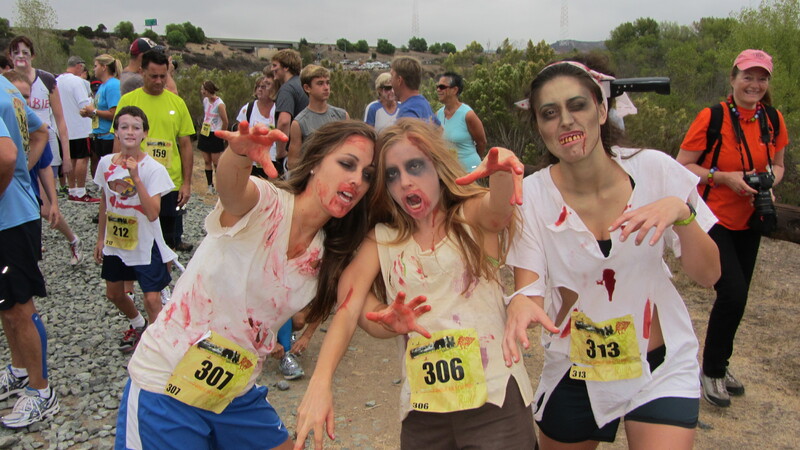 The Quail Brush Power Plant would be located just behind these zombies. 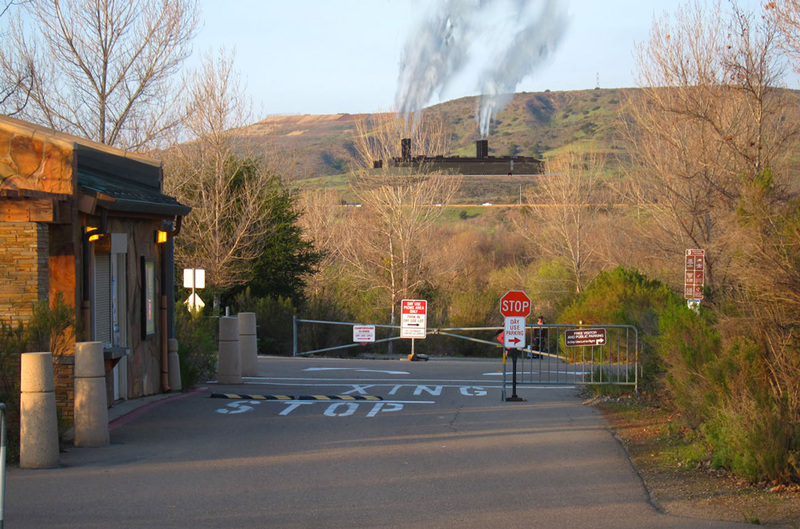 All kidding aside, we must continue to be vigilant on this important issue, or we will wake up to a humming, whirring, belching, farting power plant right on top of our beloved Mission Trails Regional Park, and we will belatedly wonder if there is something more that we could have done to prevent it. New Design is NOT Helpful. It’s Harmful. CoGentrix made modifications to the Quail Brush Generation Project to “improve” its visual impact. CoGentrix lowered the towers to 70 feet from 100. 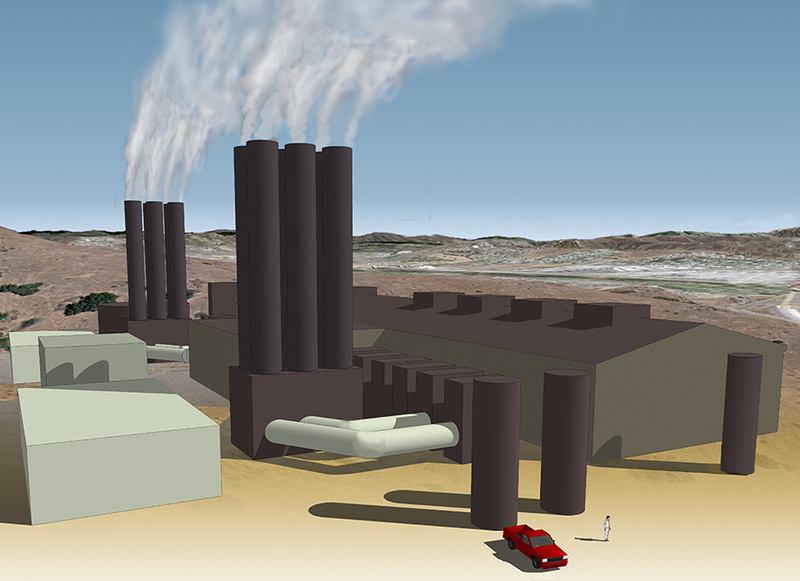 The images below are realistic and based on the revised power plant design. 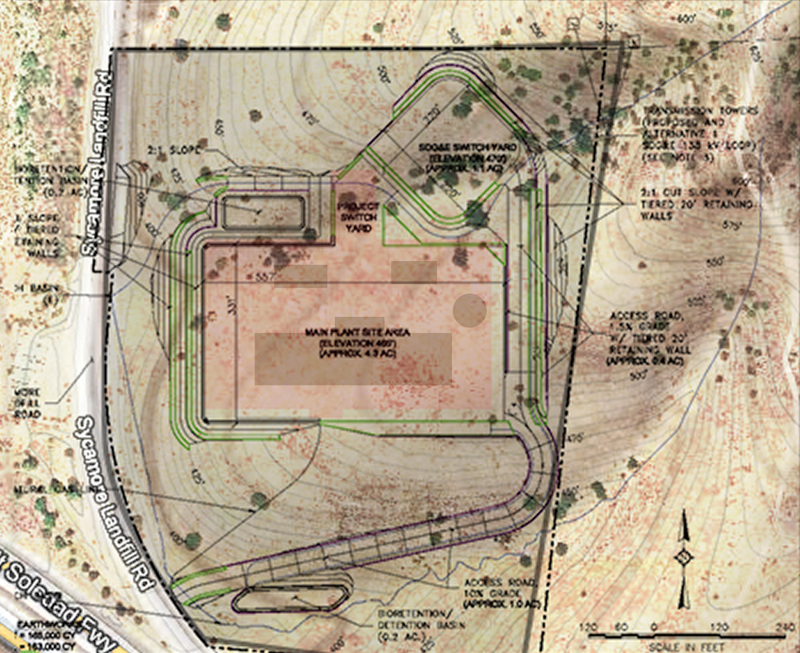 The renderings include its new placement, graded retaining wall, drainage pits, storage units and a 10-foot security wall. The placement of the power plant sits clearly on the top of a ridge and is not obscured by any other ridge from the Park. The hills will require extensive grading. Click on the images to see them larger. The structures were rendered to scale using Google’s 3D rendering program. The towers’ emissions were rendered in Photoshop. Lowering the stacks brings the pollution closer to the park, schools, and our lungs. As you can see, the power plant would still be a nasty wound on our park and community. Multiple view points were included so you can clearly understand how huge this abomination is. Click on a power plant image below to see the gallery larger. 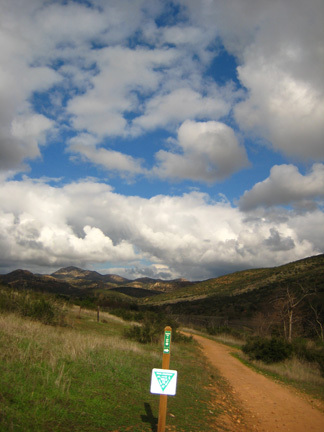 Welcome to the Camping entrance in Mission Trails Park! Author Jeffrey KahnPosted on September 12, 2012 January 16, 2013 Categories Air Pollution, Community, Health, Mission Trails Regional Park, Photography, San Diego4 Comments on New Design is NOT Helpful. It’s Harmful. 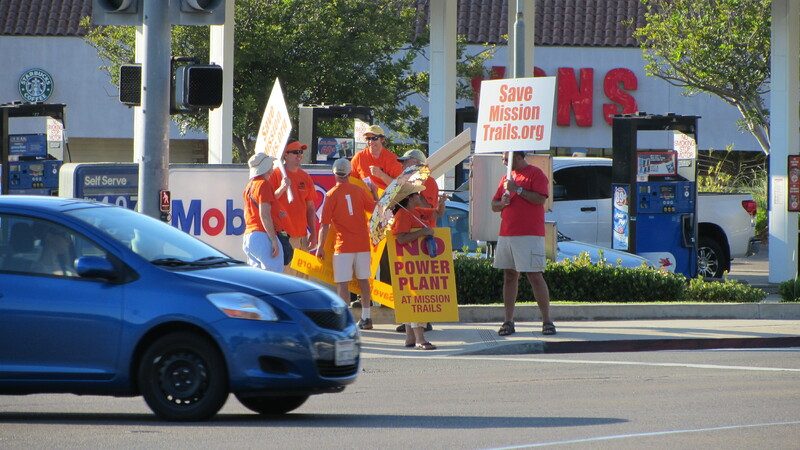 Sure, it was a rather hot day to stand in the sun on the corner of Santo Road and Clairemont Mesa Blvd. this last Saturday in order to wake up the members of the Tierrasanta community and alert them about the Quail Brush Power Plant. 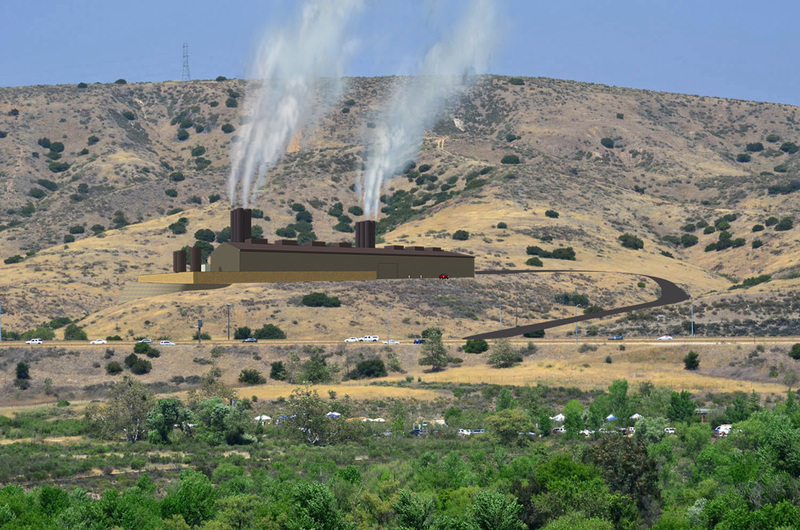 This post includes a gallery of the proposed power plant. 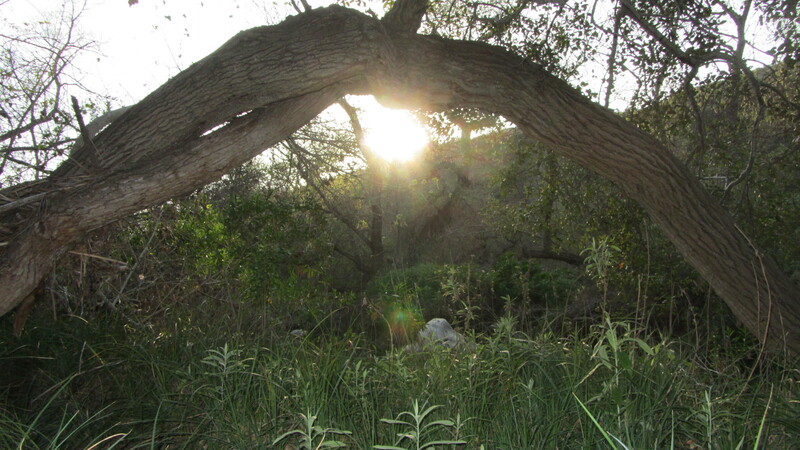 The ten photos were taken in Mission Trails Regional Park from multiple points of view. Most of the images show it spewing toxic pollutants from its eleven 100-foot towers – as it would be seen from the park on days of operation. Not included are graded hills, additional electrical towers and wires, other structures, and roads. We believe these images are realistic and demonstrate the visual impact the Quail Brush Power Plant will have on our park and communities. 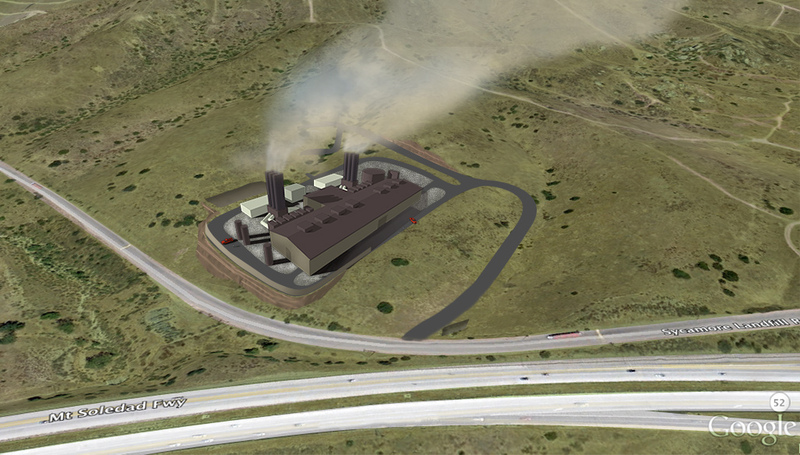 The power plant was rendered to scale using Google’s 3D rendering program. 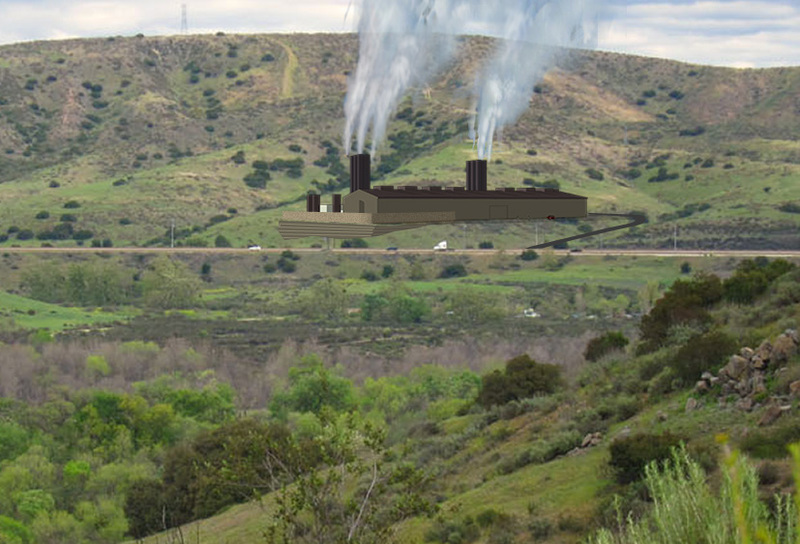 The towers’ emissions were rendered in Photoshop. On a personal note: I find the name “Quail Brush” offensive. I don’t think a single quail will want to be anywhere near the bulldozed hills, or the noisy, toxic, fire-hazard power plant. I recommend we call it the “Quail Smushed – Burned Brush Power Plant.” This is more fitting. Below is the Helsinki, Helsingin Energia gas power plant. It shows emissions and pollutants being released. Quail Brush will create toxic gas and spew pollution all over Santee, Tierrasanta, Navajo and other communities within a 15 – 20 mile radius. This summary of plant emissions equals 43% of actual emissions, equal to 204.84 tons of pollution per year. This data was provided within their project proposal. However, it will be more than doubled if the plant runs at full capacity.